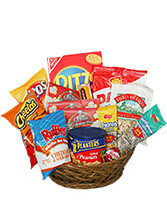 Heart Shaped Pineapples fill this beautiful arrangement along with chocolate covered strawberries and fresh fruit! 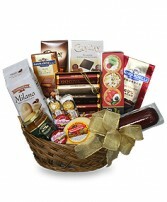 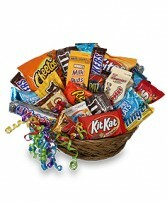 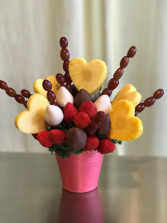 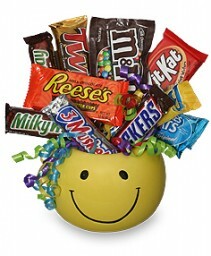 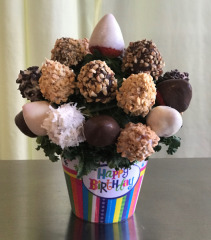 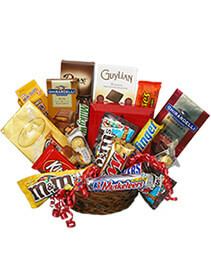 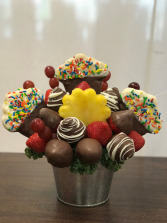 A fruit bouquet filled with chocolate covered strawberries of different varieties! 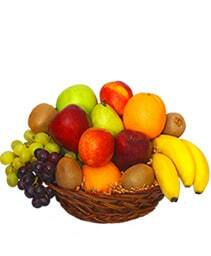 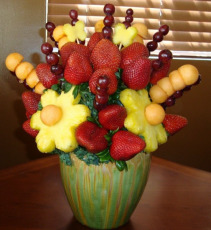 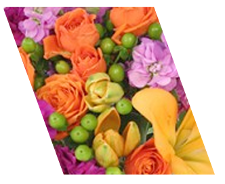 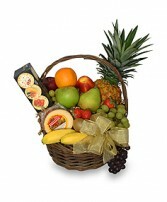 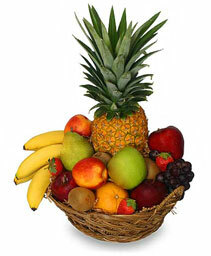 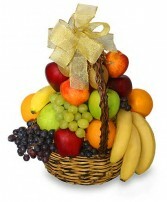 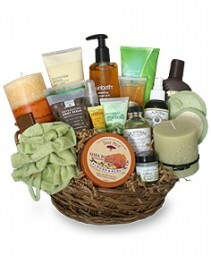 A beautiful fruit bouquet filled with fresh pineapples, strawberries, cantaloupe and grapes.